The aft cockpit WESTSAIL 43 is similar to, and from the same hull mold, as the center cockpit WESTSAIL 42. 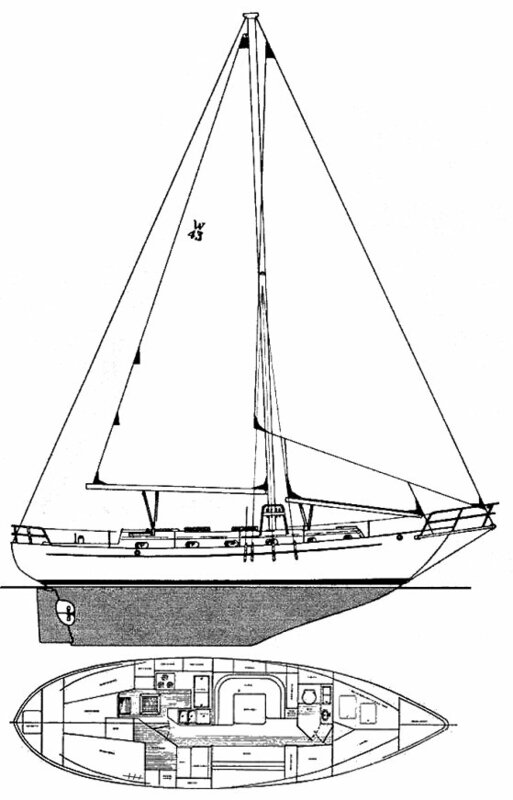 As with the 42, A number of rigs were available including cutter, ketch and yawl. Staysail ketch: 1296 sq.ft./120.4 m2.